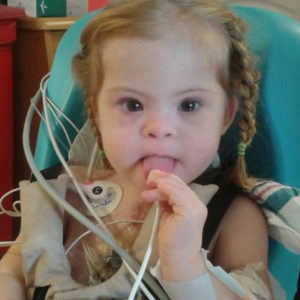 Lainey will be going in for her second heart surgery later this month and we are able to help the family out based on your support, thank you. Also, thank you to the Treasure Coast Down Syndrome Awareness Group for connecting us. Lainey is going to rock this surgery!! !